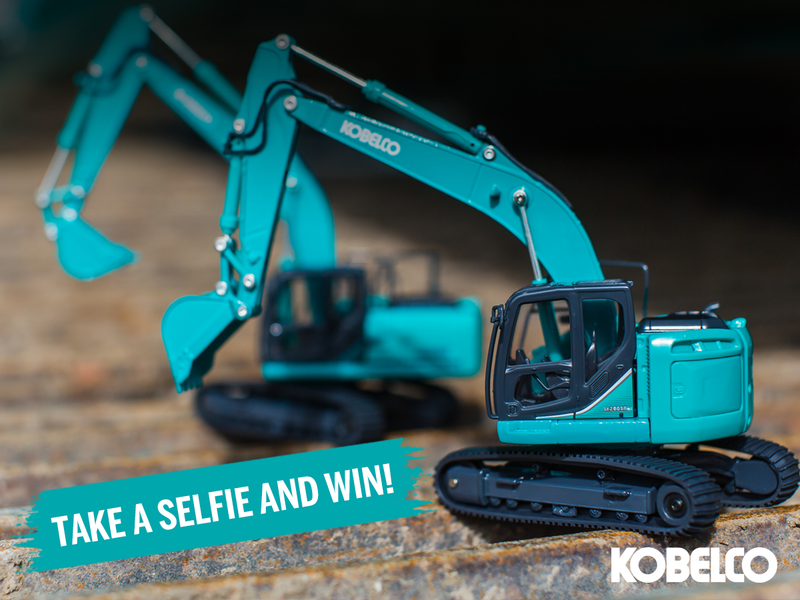 Terms & Conditions - Facebook contest GaLaBau - Kobelco Construction Machinery Europe B.V. Win a scale model every day! During the Galabau week (14-17 September) you stand the chance to win a scale model every day if you are attending the show. Take a selfie of yourself with a machine at our booth and post on our Facebook wall. Scan the QRcodes on our machines to get you to our Facebook page quicker. Selfies must be taken on our booth during the Galabau 2016 exhibition at Hall 5 stand 5-401 with one of the Kobelco machines being shown. Selfies submitted not at Galabau will not count. Selfies will be published and Facebook team will choose a selfie to win a scale model every day from Wednesday the 14th of September until Saturday the 17th of September. Exhibition days are Wednesday, Thursday, Friday and Saturday. If no selfies are submitted on any day the scale model prize will carry forward to the next day. If during the event no selfies are submitted online from the exhibition at all, we will open the selfie contest up to all our Facebook fans to post from anywhere with their machines. All photo winners will be chosen by our Facebook Team, every day at 14:00h on Facebook. Winners will be notified on Facebook and announced in the comments beneath the uploaded selfie. There will be no further communication regarding the results of the contest.